Creating and marketing a mind-blowing ebook is not an easy thing to do. There’s a rather long checklist to go through as you work to reach your dream. So naturally, when there’s a life jacket thrown your way as you’re struggling through the list, you’ll take it. That’s what ebook templates provide, a life jacket that will help make your ebook making journey an easier one. Today we’ll share with you the seven best ebook template resources for a variety of categories and a variety of platforms. Ebook templates, as the name implies, are ready-designed templates for the color scheme, layout, and typography of your ebook. Templates make your ebook look good, without you having to go through the hassle of designing every aspect, then applying the changes individually. 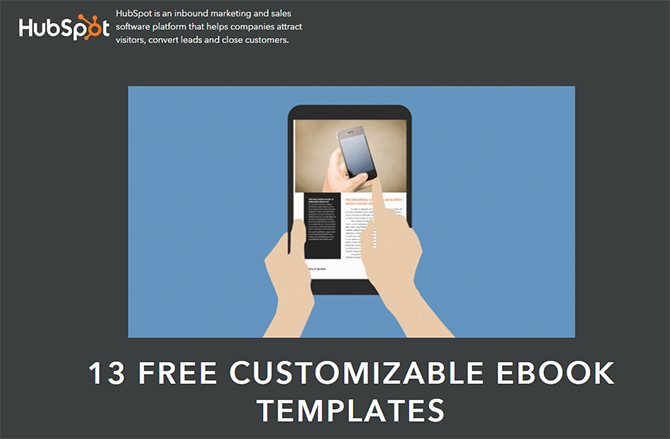 You’ll want a template that’s specifically designed for the type of ebook you’re writing. The layout of a cookbook is very different than a textbook or novel. Fortunately, you can search for a fitness ebook template, an ebook cookbook template, or a B2B ebook template, and find what you’re looking for. Perhaps one of the first questions that comes to mind, “Can I brand my ebook if I use a template?” Yes. You can brand your ebook with your logo and color scheme, even if you’re using a preset design. Most templates allow you to customize the color palette and some will have a spot reserved for your logo. There are three main types of platforms that support ebook templates. For each, there are multitudes of ebook templates that can help make designing your ebook much simpler and faster than starting from scratch. Here we’ll briefly tell you of the three types of platforms you can use to take an ebook template, make it your own, and add your text to it. Because most ebook template platforms only export a PDF or DOC/DOCX file, you will then want to bring them into Kotobee Author to export it as an EPUB, MOBI (for Kindle), or as an ebook app (read Converting a Word Document to EPUB or MOBI). You’ll find everything you need to know about ebook formats in The Beginner’s Guide to Ebook Formats. We also recommend that you make your ebook more engaging with embedded media, widgets, and interactive content, while you’re in Kotobee Author. Don’t worry. We’ll guide through every step of the way. For starters, check out 5 Steps to Convert Your PDF to a TRULY Interactive Ebook. Online design and template platforms provide you with a variety of ebook templates and design tools to customize the templates they provide. You then add all the text and images, and when you’re done you can export a PDF file to share. Unfortunately, you will need to pay to use these sites. But as they say, the best things in life aren’t free. Just as you can design and edit online, you can also download design software to help you customize ebook templates offline whenever you like. The best amongst these would have to be Adobe InDesign, and its less popular equivalent in this field Adobe Illustrator. Both apps are design-inclined and help you get the best results for your ebook. We have to warn you though, they have a steep learning curve. If you’re in a rush or have a limited budget, this is not the option you want. As for the more accessible options, such as Microsoft’s Word and Powerpoint, or Google’s Docs and Slides, or even Open Office’s Writer and Impress, there are countless ebook templates specifically designed for them and they are relatively easy to edit. If you’re working in one of the text editors, you’ll be able to open it directly in Kotobee. If you’re designing your ebook as a presentation, then export the presentation as a PDF file first, then bring it into Kotobee to add interactive content. Templates come with dummy images and text. All you need to do is replace their images and text with your own. If you would like to change the color scheme, most platforms will allow you to make any changes you like. You will need to leave proper room within the layout, while you create your ebook, to add interactive content later. The majority of the ebook templates you’ll find are for fixed layout. Reflowable layouts provide for a far smoother experience for your users. If you don’t know which is the right layout for you, the article Best Ebook Layout Format: Reflowable or Fixed? will be of great help to you. 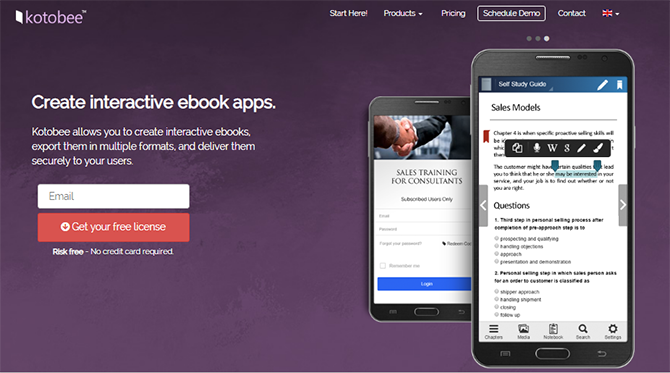 By far the best source for ebook templates. Though not free, you’ll probably decide it’s worth the price. With a solid variety of templates, likely they’ll have a template for you. Templates include fitness ebooks, cookbooks, and travel magazines, in addition to the classic business ebooks. The ebooks also come in several languages. You’ll find a template especially for interactive content, as well as many other fixed layout designs. All designs are beautiful, with extraordinary attention to detail and precision. Each template comes with many pages, anywhere from 9 to 28 different page layouts, far more than any other platforms. With that much variety you’re guaranteed an ebook that’s never boring and always stunning. Simple. Bold. Modern. This is one of our favorites for its clean lines and beautiful designs. These are designs that represent progressive companies. The free account is unfortunately so limited that it can’t be used for ebooks. On the positive side, their prices are reasonable. Use Lucidpress for styles that wow, for businesses that impress. Dive right in and pick a template. They boast more than 250 ebook templates for fixed-layout ebooks. Use their page dimensions or set your own. If you’ll be accompanying your ebook with a hefty social media campaign, this may be the right choice for you. 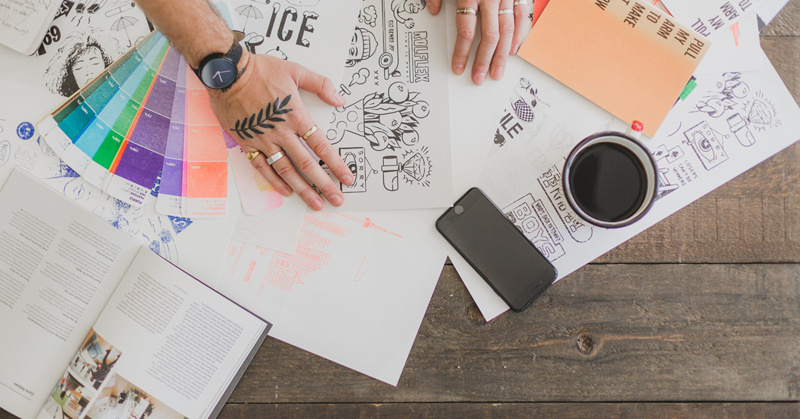 Pre-set dimensions for just about every type of social media post, guarantee cohesive branding from your ebook to your social marketing campaigns. Here you’ll find thirteen different templates mostly for business purposes. These templates get the job done. They don’t offer as many pages inside as the other options, and not all text overlays appear clearly; however, they are definitely a viable option. You may just find the right template for your ebook here. 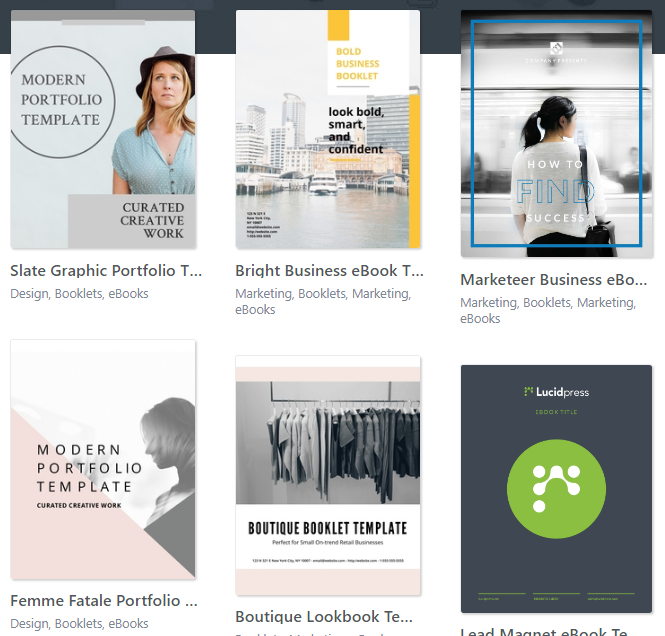 Hubspot originally provided a repository of five ebook templates, but they were so popular that they were soon after expanded to thirteen templates. Each template comes in Mac and Windows compatible file formats. When you open the Windows folder, you’ll be pleasantly surprised to find MSWord, InDesign, and QuarkXPress file formats. 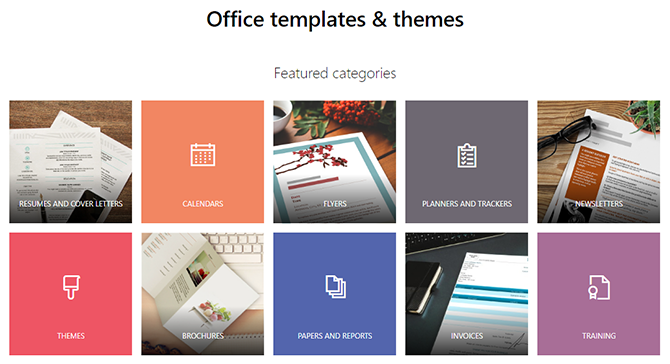 If you already have Microsoft Office, you can’t beat the price nor the ease with which you can use their templates. Search by category and filter for MSWord (for classical ebooks) or Powerpoint (for presentation style ebooks). Their countless templates for reports will suffice many business needs. The popularity and widespread use of Microsoft products render some templates generic and overused. If you want a template you can start using immediately, without wasting money or time on fancy software and designs, this will be your best option. We know they don’t provide traditional ebook templates, but we love them and had to share them with you. 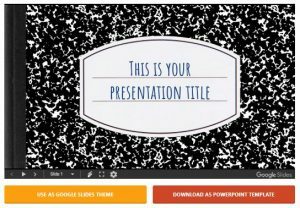 Presentation style ebooks have grown increasingly popular, so for those of you who are planning on writing a landscape ebook that has the feel of presentation slides, we recommend Slides Carnival. 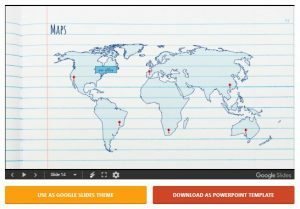 They provide template formats for Microsoft PowerPoint and Google Slides. You don’t need to carry the entire load when it comes to creating a great ebook, there are some handy shortcuts that will save you a great deal of extra work as well as ease your mind. Templates make it easier for you to just add your content within the preset conditions without having to go back and forth to apply them for each and every page. Now it’s time for you to go out there, and find the perfect ebook template that will do wonders for your ebook. We're a quirky group of writers dedicating our time to unveiling all the tricks of the trade in the land of ebooks and publishing.